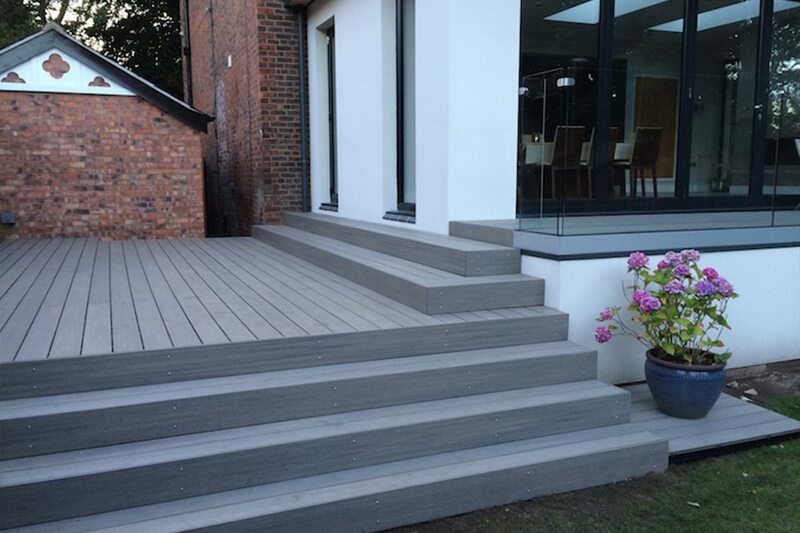 A local customer came to us looking for a complete outdoor solution for her spacious garden in Manchester. 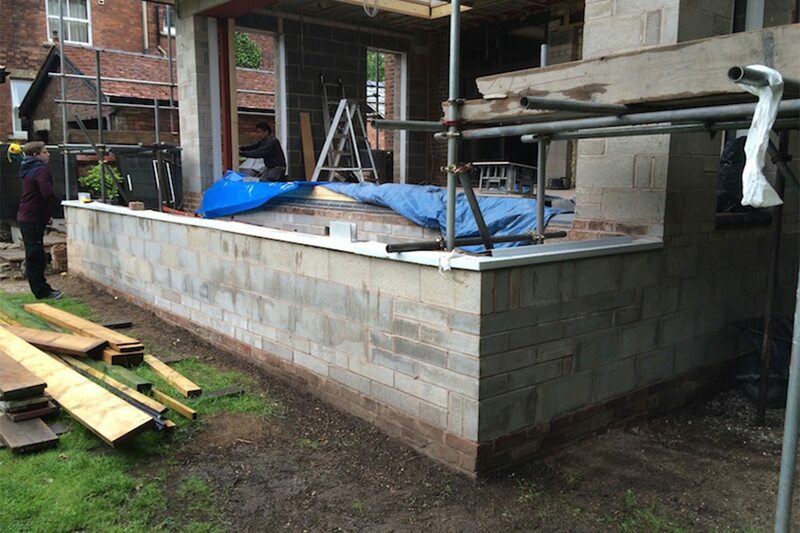 The client had started the construction of a new kitchen and dining room extension to the back of the property. 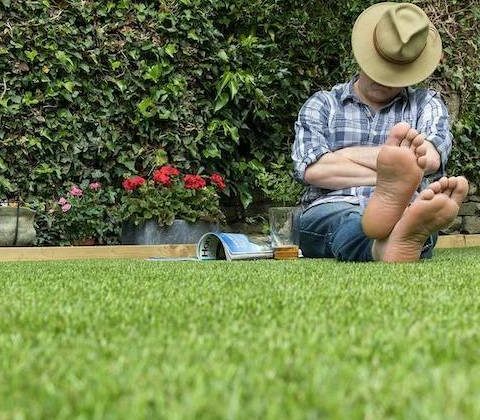 They were looking to create an outdoor space that would expand on the extension and allow easy access to the large garden. We arranged a site visit and met with the client and their builder, where we discussed their design ideas and what solutions we could offer. The client wanted two areas creating, one outside their large bi-folding doors leading to a secure balcony overlooking the garden, and a lower area to the side of the property leading down to the garden. 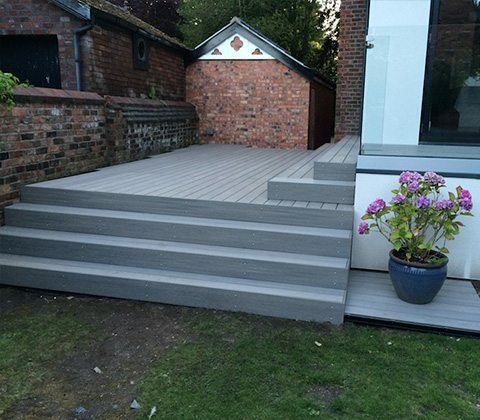 The total area covered was 42 square metres including steps from the garden and up to the property: the steps to the property were designed so they could also be used as a seating area if required. 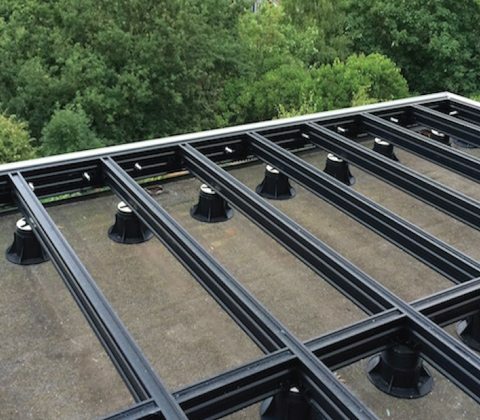 The frameless glass balustrade was manufactured using one of our four standard glazing channels which we secured to a concrete block wall. 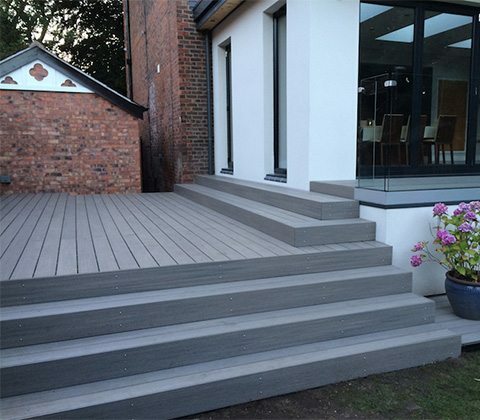 We worked closely with the builder ensuring the wall was constructed to an exact height to give a seamless look once the glazing channel and composite decking were installed. The area outside the bi-folding doors was installed and completed within two days, including the toughened glass panels. 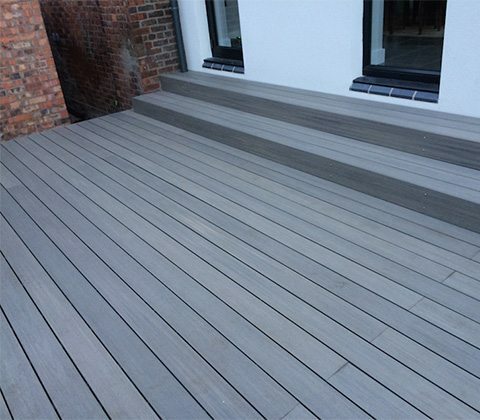 The lower decking area and steps were a bit more challenging due to the different level we had to work with and the intricate details required to ensure a quality finish once complete. 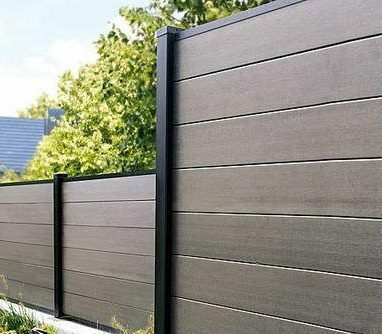 Our products have built a reputation in the market for simplicity and ease of use which allowed us to complete the project quickly as all parts were manufactured and pre- assembled in our UK workshop to strict quality assured standards, then transported to site as made-to- measure kits. 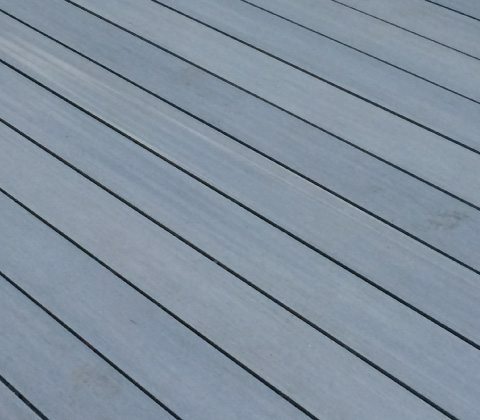 The project has enabled us to demonstrate how seamlessly our balcony solutions work with our decking systems and challenged us in the process to create this state of the art garden design.